Cirque du Soleil has leveraged data processing technology in order to offer spectators a more immersive, interactive and personalised experience during its latest tour in Australia. As part of the new Toruk, The First Flight tour, spectators are invited to download an app, which leverages SAP HANA’s platform to facilitate communication between the spectator and the show’s visual effects. The result is a more interactive experience delivered directly to the mobile device and personalised based on an individual's interaction with the app and location in the theatre. While in most performances spectator’s are told to turn off their phones, in this show they are encouraged to keep them on and interact with the app,” SAP Hybris A/NZ head, Stuart O’Neill, said. 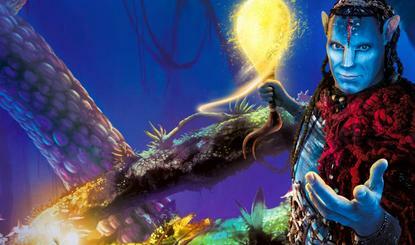 Before the show, the app offers a more seamless customer experience with ticket and show information, as well as stories behind the ‘world of Pandora’ inspired by James Cameron’s movie, Avatar. Throughout the performance, spectators receive notifications to begin interacting with Toruk-inspired special effects such as fireflies on spectator’s mobile screens that are stimulated by touch, viperwolf eyes illuminated on screen, thunder and lightning effects that push vibrations to the phone. After the show, the app allows spectators to continue to engage with the story through interactive images, videos and content that extends their experience. Unlike traditional quite colourful theatrical sets, he said this tour the set looks quite grey and almost bland, because it is mainly projector based, with the stage used almost like a blank canvas and green screen. “So with Cirque du Soleil wanting to leverage technology and the power of digital more in this tour, so they were keen to partner with us to see what else they could do to immerse spectators more into the experience,” O’Neill said. Cirque du Soleil company manager, Michael Veilleux, said James Cameron has a lot of fans that extend beyond the stage, so for Cirque du Soleil the challenge was to engage that new audience in an innovative way. SAP’s partnership with Cirque du Soleil dates back to 2001, which O’Neill said has been a fairly long partnership to look into innovative solutions to boost customer experience. The app was first announced in New York in 2015, in the wake of the new production's global tour.